Under the Fair and Accurate Credit Transactions Act, Americans are entitled to a free credit report from each of the three major credit reporting agencies once every 12 months but according to a new survey 22 percent of Americans have never checked their credit reports. The survey conducted by Findlaw.com found nearly 1 in 4 Americans have never verified the accuracy of the information contained in their credit reports even though federal law sets requirements for resolving disputes involving the accuracy of information in a consumer’s credit report. Interestingly, the survey found women are more likely than men to check their credit reports. Twenty-five percent of men have never checked their credit reports, compared with only 18 percent of women. Higher income earners were more likely to check their credit reports; however, a significant percentage of the highest income earners said they never checked their credit reports, including 14 percent of people with household incomes of $75,000 a year or more. Taking steps to ensure your credit is in good standing is extremely important to a consumer’s overall financial health. Failing to check your credit reports for mistakes and errors can unnecessarily cost you money through higher interest rates and less favorable credit terms. Checking your credit reports is just one aspect of maintaining good financial health — consumers should also know their credit scores. While you may have to pay for your credit scores, getting your credit report can be done for free by visiting annualcreditreport.com. 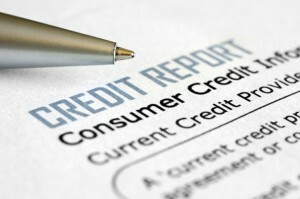 At annualcreditreport.com consumers can order their credit report from Experian, Equifax and Transunion all at once or may choose to stagger ordering credit reports throughout the year.